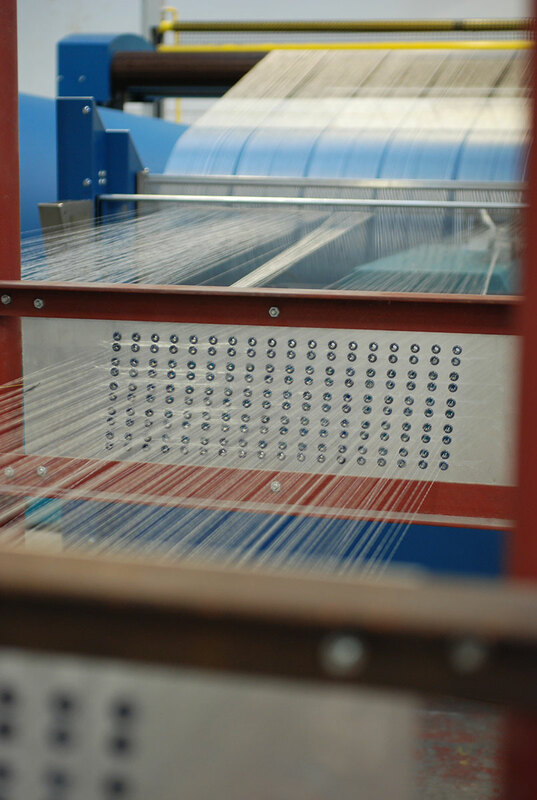 Wilkie Technical Textiles (Jiaxing) LTD’s machinery producing scrims for its filtration business. 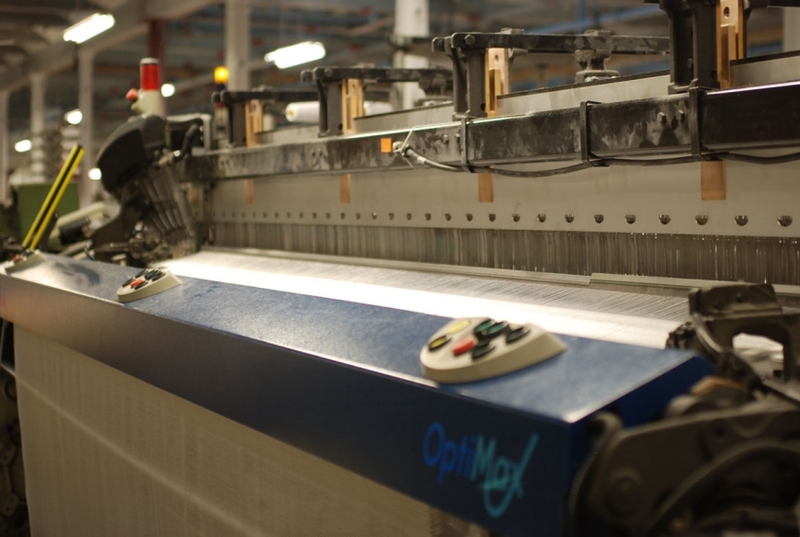 The company also produces medical textiles, which involve a complex finishing process using biotechnical liquids. 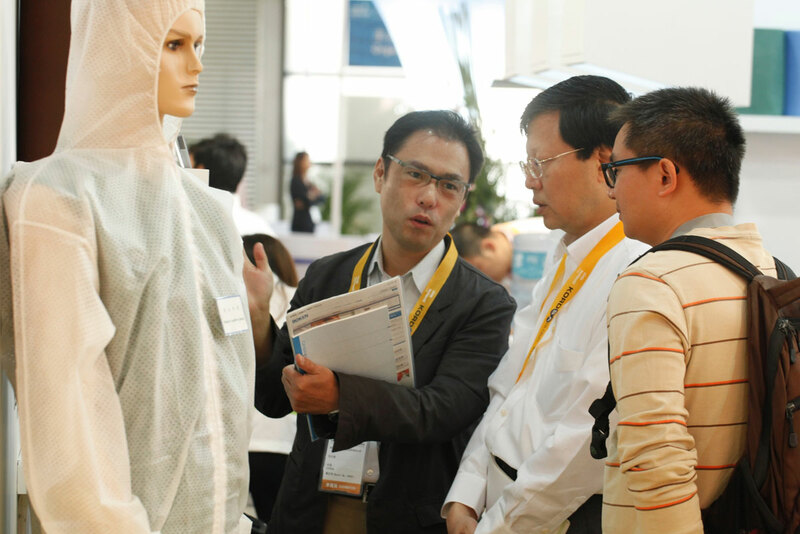 Buyers examine products at Cinte Techtextil China, one of Asia’s largest trade fairs for technical textile and nonwoven products.